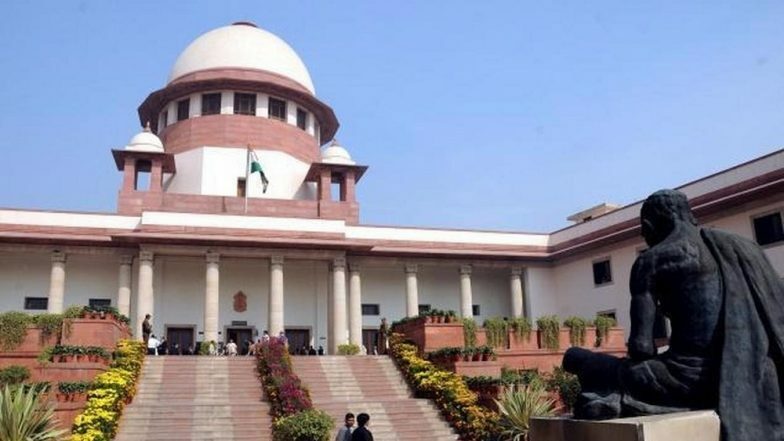 New Delhi, May 6: An adult couple has a right to live together without marriage, the Supreme Court said, while asserting that a 20-year-old Kerala woman, whose marriage had been annulled, could choose whom she wanted to live with. The observations came while the apex court was hearing a plea filed by one Nandakumar against a Kerala High Court order annulling his marriage with Thushara on the ground that he had not attained the legal age of marriage. Prohibition of Child Marriage Act states that a girl can't marry before the age of 18, and a boy before 21. Nandakumar, who had approached the top court, will turn 21 on May 30 this year. The high court had also granted the custody of Thushara to her father after noting that she was not Nandakumar's "lawfully wedded" wife. A bench of justices A K Sikri and Ashok Bhushan said their marriage could not said to be "null and void" merely because Nandakumar was less than 21 years of age at the time of marriage. "It is sufficient to note that both appellant no 1 and Thushara are major. Even if they were not competent to enter into wedlock (which position itself is disputed), they have right to live together even outside wedlock," the bench said. While setting aside the order of the high court granting custody of woman to her father, the apex court said that "we make it clear that the freedom of choice would be of Thushara as to with whom she wants to live". It also referred to a recent case involving a woman from Kerala, Hadiya, where it had restored her marriage with Shafin Jahan on the ground that it was a marriage between two consenting adults. The apex court had also clarified that a court cannot interfere in the marriage of two consenting adult and cannot annul the marriage in a habeas corpus (a writ requiring a person under arrest to be brought before a judge or into court, for securing the person's release) petition.